Sheffield United striker Billy Sharp has been nominated for the PFA Bristol Street Motors Championship player of the month award for October. 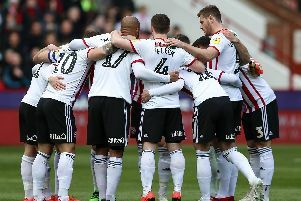 The Blades skipper began the month with a brace in victory away at Blackburn Rovers and ended it with a hat-trick against Wigan, his first for ten years. Voting is open now and will run until 8am on Wednesday November 7. Click HERE to vote.